Posted on October 2, 2018 at 10:04 am. October is National Farm to School Month and in Virginia, the celebration starts with Virginia Farm to School Week October 1-5. This is a national opportunity to recognize the importance of regional Farm to School programs in improving child nutrition, supporting local economies, and education students about the origins of food. 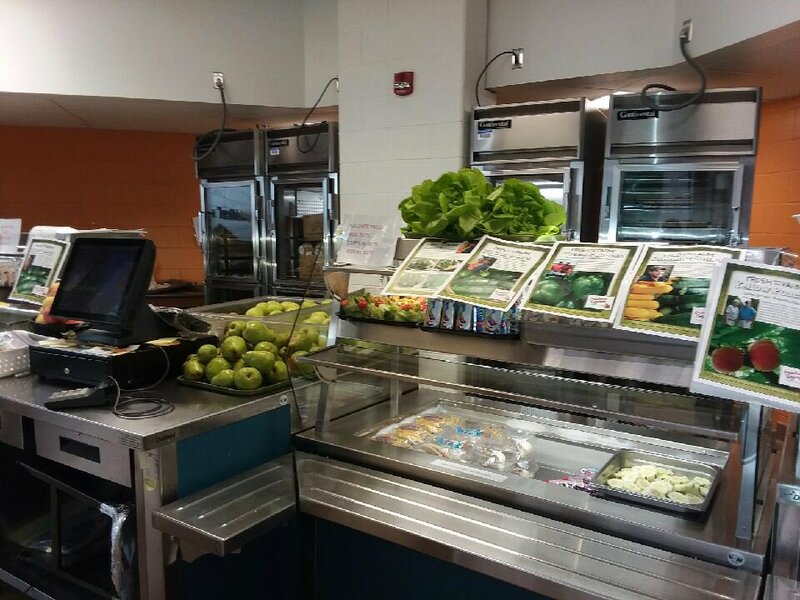 This week, Food Services will highlight local foods served daily in the cafeteria. This month’s harvest includes apples, pears, cabbage, corn on the cob, peaches, Bibb lettuce, green peppers, zucchini squash, and watermelon, milk and chicken. Follow Food Services on twitter @APSLunchrocks to learn more about our local farmer partners. Families can make some noise for Virginia Farm to School Programs by participating in the Crunch Heard ‘Round the Commonwealth on Fri, Oct. 5. Stop by the cafeteria and bite into a local apple and help us make some noise for Farm to School. We are also kicking off our new Harvest of the month program featuring pears this month. Join us for a delicious grilled cheese with local pear sandwich for lunch. Later in the month try our overnight oats with pears and cinnamon for breakfast.